Traditionally varnishes were applied to keep paintings protected from all the dust, dirt, smoke etc.. in the atmosphere. The varnish provides a non-porous, protective layer that is removable for conservation purposes; it serves its aesthetic purpose whilst also providing protection. Any dirt that attaches to the painting will be on the varnish layer and not imbedded in the paint layer. So when a painting has yellowed and looks suitably dirty, the varnish can be removed (and all the dirt with it) restoring the painting to it’s vibrant, former glory, then a new varnish can be applied to protect it for the next 100 years or so. As I mention below, there are other aesthetic reasons to varnish but it’s worth remembering that although it’s often called a ‘Final picture varnish’, traditionally varnishes are meant to have the capacity to be removed without damaging the painting. It’s worth noting there are many Acrylic permanent ‘non-removable’ varnishes on the market. They will give you a nice even finish to your work – without going through the process below. Personally, I always work with a removable varnish to ensure the future preservation of the aesthetics of my paintings. Is removable varnishing appropriate for you? I always think of portraits and paintings that will be handed down to generations in the future it is definitely worth varnishing with an old school technique. However, it’s a personal call as I appreciate some of our paintings end up on the neighbours wall. It might be in this scenario an acrylic permanent ‘non-removable’ varnish fits the job. Whatever you decide is best for you and your paintings, it’s always worth knowing good professional practice. So we shall carry on as if all of your paintings will some day hang in the Musée du Louvre! Although we are going to be looking at acrylic varnishing techniques, the anxiety over how to varnish, or what to varnish with stems back to Fresco paintings. In his book The Craftsman’s Handbook, Cennino Cennini (about 1370–about 1440) tried many times to create a matte varnish to his paintings, he created a recipe for a varnish from whipped eggwhites. The only issue was it went grey over time. Then with the Renaissance a more high gloss varnish finish was favoured, giving the paintings the “Old Master Glow” and helping to give a permanent enrichment to the colours. 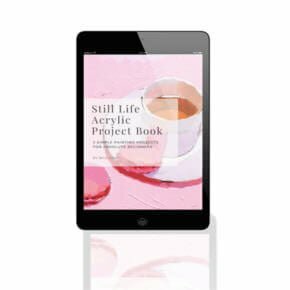 Acrylic paintings can often look dull when they’re dry and some manufacturers such as Old Holland and Winsor & Newton have started to add a glossy acrylic binder to give the paints a more satin appearance. 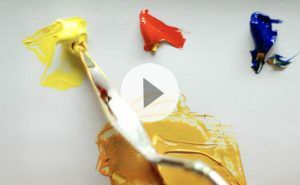 Even though that helps, to get the most saturated colour from your acrylic painting, a glossy varnish will always enhance your colours more than just using paint alone. 2. Create an even gloss/satin/matte sheen over the entire picture surface. There are some acrylic pigments that dry shinier than others. Different mediums and gels also have different finishes and on top of that, acrylic paint changes in sheen depending on how much water is added to the paint. This result is a finished painting with areas of different sheens. You can see in this painting there are uneven levels of sheen, due to parts where I’ve mixed a gloss glazing liquid into my paint and then worked, water-thinned paint over the top. So can I just paint a varnish directly onto my acrylic painting to unify the appearance? If you want your acrylic painting in the future to be easily cleaned/restored to exactly the same finish as when you paint it i.e. remove and replace the varnish – then you need to apply an isolation coat first. 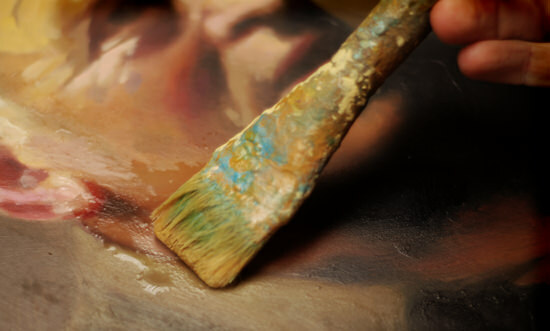 If you were varnishing your oil painting (or if you decide to use a non-removable acrylic varnish ) the process is slightly different and you can usually paint your varnish straight onto the paint layer without the need for an isolation coat. This does all the heavy lifting for you. By painting an isolation coat it provides an even sheen and a glass-like surface, so when you apply the final varnish it will just glide on. It’s a bit like laying a sheet of thin glass over the paint surface, and then applying a varnish to the glass. So rather than the varnish soaking into sections of absorbent canvas it ‘sits on top’ of the isolation coat. N.B. An isolation coat has to be done with a gloss medium. When it’s dry you can then apply a varnish of either Matte, Satin or Gloss depending on your taste which will always supersede the glossy isolation coat finish. How do you mix an isolation coat? I use products from Golden Acrylics. Liquitex, Winsor & Newton and Atelier Interactive all have slightly different medium choices, but the same principles apply. Golden Soft Gel Gloss – it must be the gloss version, the satin and matte version of soft gel are not recommend due to the matting agent in the medium. The gloss will dry the clearest of the gels. Even if you want to finish with a Matte surface, apply the gloss isolation coat. Then in the future, if you ever need to replace the varnish, you can simply apply a varnish remover and it will go back to the isolation coat and never hit the acrylic paint surface. Q. Why do you use a brush? A. Most of my paintings are quite thin in an application, there aren’t any thick impasto areas so the brush just glides over very easily and I can work quicker. Q. Why don’t you spray your isolation coat? A. 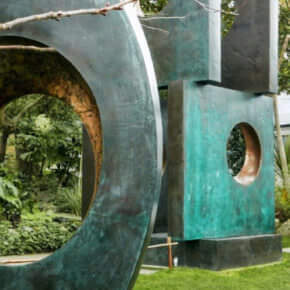 If you are working on a very large-scale painting and wanted a super, super even finish then spray application will always give you the most even sheen finish, however, it is more costly and you need a very well ventilated area. Ideally outside. You would also need to use a different medium than the Soft Gel Gloss. Apply multiple thin layers depending on the absorbency of the surface you’re spraying. It’s quite a lot of extra effort. Q. Do you ever use a sponge to apply an isolation coat? Q.What is the biggest isolation coat application problem? Going over a nearly dry section of the isolation coat with your brush. Trying to cover a large area in one go. Applying the isolation coat with bubbles in the mix. Trying to finish with one thick coat, where two thin coats would be better. Many of the Impressionists preferred not to varnish at all. They didn’t like the visual effect or the ostentatious feel of a highly glossed surface. Pissaro and Monet preferred the unvarnished look and many Impressionists would aim to work on a more absorbent gesso ground. The gesso ground would soak up the oil from the paint and leave a matte appearance on the surface. In an ideal world I would have a matte finish to my paintings too, but with all the colour intensity a gloss varnish delivers….but I said ‘in an ideal world’ because with varnish it’s always a compromise between aesthetic ideals and chemical limitations. The Matting agent used to create Matte varnish is usually white. 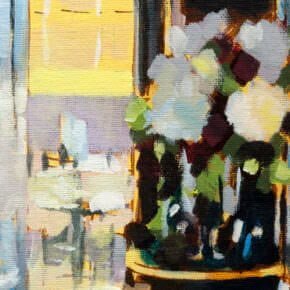 On light coloured paintings it isn’t noticeable, but on dark paintings, it can give the surface a cloudy or frosty look, therefore the colours don’t necessarily shine through it and blacks, in particular, will always lighten in appearance with a matte varnish. As mentioned above a matte varnish contains a matting agent which is usually white, so even though it dries clear, its still not 100% transparent. As a comparison, gloss varnishes dry almost 100% transparent and satin somewhere between the two. 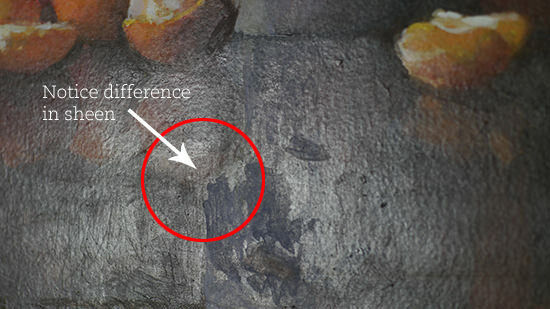 This matte finish that can often appear in acrylics is exactly the same as areas of an oil painting that have ‘sunk in’. This is often why dark dramatic paintings have a final glossy picture varnish applied. It brings back the colours and makes the blacks look really black. If you try to apply a satin or matte varnish to a black painting the level of blackness will be lifted. Notice the difference in intensity of the black above, depending on the varnish. So what approach do I take? I apply an isolation coat, which will always be gloss. Then leave it to dry for 24hours so I can assess the level of sheen that will best suit the painting colours and the environment the painting is going to hang (if it’s a specific commission). It’s worth taking into consideration bright lights within the hanging space as these can often cause a glare on a too glossy finish. Most of the time I would then mix a bespoke solvent based varnish by adding matte varnish to a gloss varnish. So, in essence, creating a controllable satin finish. I apply thin coats, sometimes 3 or 4 always assessing when it’s dry whether I’m happy with the level of sheen/colour saturation compromise. 3. Protect the painted surface from atmospheric effects to make the surface easier to clean. Acrylic paint by its very nature is quite a soft material. If you have a blob of acrylic paint that is dry you can still push it and squeeze it and it will move. There are 2 main choices for your acrylic painting. Either a water-based varnish or a solvent based varnish. 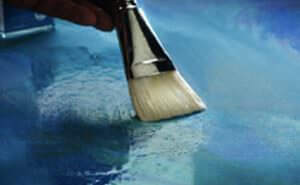 Water based varnishes usually are created from an acrylic polymer, similar in consistency to an acrylic glazing liquid. They provide a good level of protection and for small to medium pieces are an easy great choice, especially if you work from a small studio within your home. They are convenient, cleanup friendly and don’t smell strong, however, they are harder to apply evenly on larger areas with a brush as they dry too quickly for big canvases. They don’t give as hard a surface finish as a solvent based varnish. 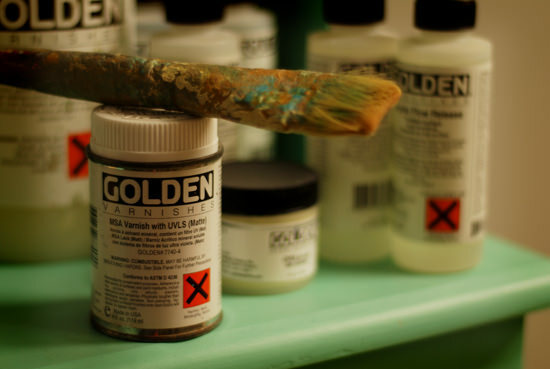 Some polymer varnishes need to be thinned before use (Golden Polymer Varnishes need to be thinned) as they are manufactured to be thicker in the pot so there is greater consistency to the varnish film when it is thinned and applied. Pro tip: If you’re having problems working quickly enough with water based varnishes, then you can use a large sponge to apply. This only works if you’re using a water-based varnish that is already quite fluid. You need to work quickly and be patient to build up the varnish in thin layers. Be careful using a sponge with an isolation coat as it can lead to foaming. Solvent based varnishes or Mineral Spirit Acrylic varnish dry to a tough, yet flexible layer. MSA varnishes are clear when wet and also provide an easier application with self-leveling qualities. The clarity and appearance of the finish are slightly superior compared to a water-based varnish. The biggest drawback with MSA Varnishes is that they must be thinned before use, with full strength spirits. They are strong smelling and clean up is messy, so for home use can be impractical. If your varnished painting looks a little uneven or the finish isn’t absolutely perfect, don’t be too hard on yourself – spare a little thought for Renoir. 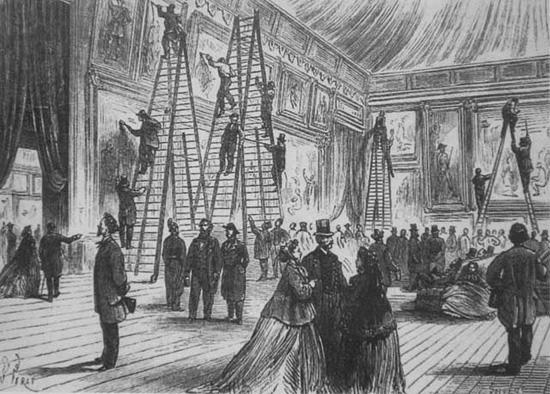 Within the French Academy, before the official opening of the Salon exhibition, artists were allowed a varnishing day. This was often carried out by the artist’s colourmen. “The day before the opening, a friend came and told me that he had just been to the Salon, and that something queer seemed to have happened to my Mademoiselle Samary. I dashed to the Salon and found the picture almost beyond recognition – it looked as if it were melting away. It seems that the framer instructed the delivery boy to varnish another picture that he was delivering at the same time. The boy had a little varnish left over and decided to give me the benefit of it. So my bubble wrap bubble marks over my piece don’t seem so disastrous after all! I hope this helps when making a decision about varnishing your own works. Can I ask will you be sharing similar tips for oil Paintings? or does the same apply? Thanks Ali, oh yes, I forgot to mention that. I’ll be doing another article on the best practice for oil paint varnishes soon, lots of cross-overs but a few different considerations. Thank You Will for a very useful object!! All your articles really help a lot! Thanks Nadya, pleased you found it helpful. Great information Will! Thanks as always for your wonderful site and advise! You’re welcome Liz, hope it helps. Very informative, Will. Thanks for posting this. Hope you’re keeping well, pleased you found the article helpful. This is so comprehensive, and I learned a huge amount as usual! Thanks for laying it all out so clearly. I’m wondering though if varnishing is essential? I paint in acrylics and don’t varnish them, but am wondering if I should for protective reasons. Hi Tara, ahh the elusive varnishing decision! Thanks for a very informative post! I look forward to the oil painting one, as well. Thank you for the amazing tips. It is appreciated as I will be varnishing 22 pieces for a display. Really pleased it helped Jacque, by the end of 22 pieces you’ll be a varnishing master! Many of my oil paintings that I still have are over thirty years old and have never been varnished. What do I clean the surface with before applying any coating including varnish? And why can I not use a polyethylene furniture varnish from the paint store? I was a student of Frederick Taubes in the 40s -50s and he made me very conscious of the chemical contents of any varnish… Just wondering. Hi Lois, I’ll be covering oil painting varnishing in a future article, the polyethylene furniture varnish usually has a tendency to yellow more over time. Thank you for your answer. I look forward to your information on varnishing oil paintings. Great subject Will, thank you very much. As you know I have started in acrylics not so long time ago and you are so helpful. I like that colours are so bright after varnishing, but I noticed sometimes there are some ugly streaks. I do use a very soft brush. What do I do wrong? A number of things that cause streaks, from the varnish drying too quickly, to the brush technique on application, I’ll be looking at different application methods in the next varnishing article. 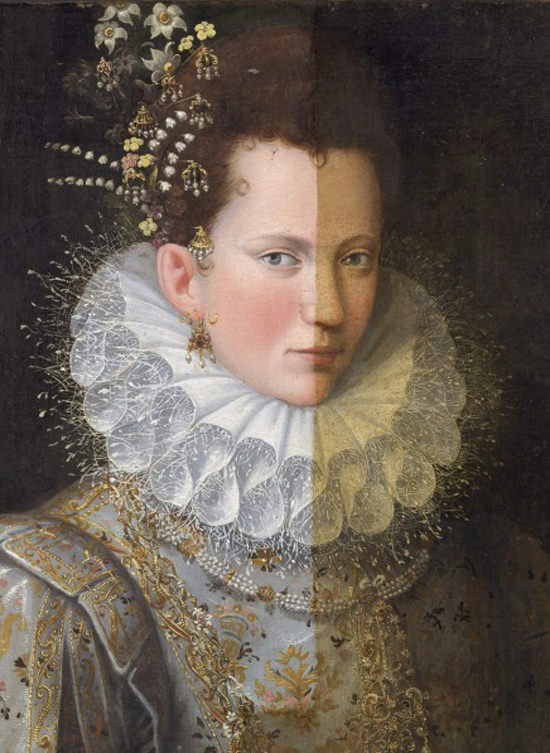 It would all depend on the position of the lights that would be shining onto the painting, whether the lighting was from above (a picture light for example) of from the side (a bright low window that has strong sunlight shining through) The biggest jump in change in glare would be a change in the sheen applied. Thanks Will, great article, and very helpful to have the links to the work shown and the handbook. Totally amazing that something written so long ago is still in circulation and relevant! Many thanks to you for the practical and easy- to- understand info ~ your usual high standard :) I look forward to the oil painting info when it arrives! Pleased you enjoyed it Carol, yes it is quite amazing the similarities of problems with varnishing with artists through the ages! Haven’t quite hit the heirloom stage, Will, but find this very useful to assimilate. 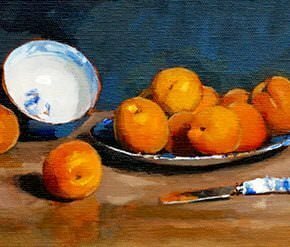 Have recently treated myself to the Acrylics Still Life video to gift me a lift during the January ‘Blues’ phase. Really admire your professionalism in handling this website. As a beginnner, i am growing with confidence as well as being inspired. 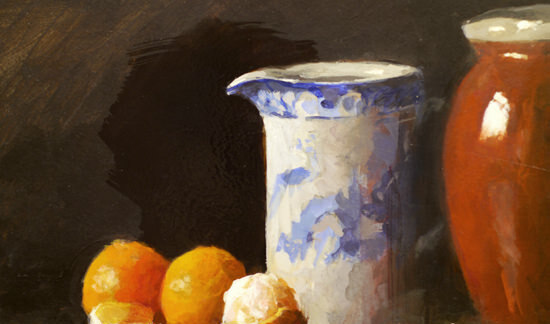 Nice to hear from you, so pleased you’re growing with confidence in your painting, enjoy the still life course. I had been fussing over this idea just this morning (and on and off in recent months). A holiday gift, to find this in my e-mail inbox!! Thank you for the information, well-timed for me! Oh good one Margaret, great to hear the article was timely for you. Thanks Will…really appreciate your arts generosity! Have you ever used Dorlands wax medium as a final varnish? After an isolation coat, it seems safer than removalble varnish, but I wonder whether cold wax is adequate protection. I’ve used a cold wax medium as a final varnish with oil painting, as you often use it as a matting agent with oil varnishes, but haven’t used it as a standalone varnish with acrylics. It might be a good question for the oil and wax forum, who have much more experience using cold wax. You are still at your best, Thanks for the info! I have heard and read over and over that oils over acrylics, is ok, but not the opposite, your isolation coat is prepared with acrylics, please enlighten me. Yes, that’s right, the isolation coat is an acrylic polymer, painted over acrylics – not oil paints. Hope all is well. Just wondering what the point is of using a solvent based varnish considering the polymer acrylic varnishes are non yellowing and water resistant? Seems to me to be a waste of time, unless acrylic varnish is for acrylic painting and solvent varnish is for oil painting. I mean it is not as if anyone would allow people to touch and deliberately damage their works! Hi Tony, I’m doing great thanks, it’s a personal choice regarding water-based or solvent based as mentioned in the pros and cons above. Nice to hear from you and pleased the varnishing article was good timing for your landscape paintings. I’m in my mid forties and have just begun painting and I’m loving every minute of it. I go to Art classes and have a great Art Teacher. I’m like a sponge soaking up all there is to know about Art, that’s when I came across your website. Your Info and tips are fantastic and really helpful. Thanks Will for taking your time and energy in putting your website together! Cheers from Australia and Merry Christmas!! Thanks for your kind words on the website, so pleased you’re finding the articles helpful, have a fab Christmas! For Atelier it’s a little different because of the re-wetting qualities of the paint. You might find this article from Marion Boddy-Evans helpful. and this varnishing download from the Chroma website helpful. As always Will, you have given such helpful information! Thank you! Merry Christmas! Thanks Lynda, and a Merry Christmas to you! Hi Shirley, Pleased you found the article of interest, your painting sounds like the perfect candidate! I have been trying to search for that type of information for ages without success! You’re welcome Lyn, pleased you found it helpful. thank you for this informative article. One question – what would you use as an isolation coat if you were working with ATELIER products? I have been using Atelier Gloss Medium/Varnish or Binder Medium. In your experience, does this sound ok for isolation coat? At almost 60, I am feeling like a creative kid again! Thanks for your excellent web site. So far I have made mistakes, but am learning with every attempt. This Christmas I am giving away paintings as gifts. Your varnishing article prevented me from making another mistake! I was going to use bubble wrap as part of the gift wrap! (I said I was a beginner) Could you advise me as to how to properly package an acrylic painting? As long as your varnish is dry, bubble wrap is one of the best ways to go. A couple of wraps over and the canvas will be well protected. If you are sending via post it is also worth having a sheet of thick cardboard behind the canvas to prevent anything going through the canvas. You can then make a cardboard corner protector for each corner as these will be the points that would take the most impact if the parcel was ever dropped. I am back at school! You’re welcome Avi, pleased you’re enjoying the tutorials. Very insightful and useful info. So well explained and touched upon every aspect of Varnishing….you are a genius not only as an artist but as a Teacher….there are many with talent but few would have a talent to pass on their talent with such an ease and simplicity that anybody can understand….I am lucky to have found you….Thanks again. Hi Murtaza, thanks for your very kind comments, so pleased you found the articles helpful. Thanks for another very interesting article. I didn’t realise there was so much to take into consideration when varnishing! About a year ago I completed a large acrylic on canvas (120 x 120cm) which also has areas of gold leaf applied to it. I varnished it last-minute for an exhibition in London, using the only varnish I had in my studio at the time – Atelier Satin Medium & Varnish – which seemed to go on OK and looked OK. Since the exhibition the painting has been in a box in my studio, but I want to offer it to other exhibitions/galleries now … and after reading your article I’m wondering if I should varnish it again with something different. Your advice would be appreciated. If the painting has gold leaf on and a coat of varnish I would be tempted to leave the varnish coat you’ve applied on as trying to remove it and not damage the gold leaf is a tad tricky, also, this particular varnish is a non-removable varnish. However, it can be repainted over the top as it designed as a medium & varnish, so if you wanted a different sheen as a finish on top you would be fine. You’re welcome Kristine, Merry Christmas! You’re welcome Julie, pleased you found it helpful. Hi Jo, yes you could do that, it would be similar effect to using a non-removable water-based polymer varnish. Lately I have been exploring with watercolors on different materials. I like to use watercolor canvas and aquabord finding the finished product more exciting than the traditional matted and framed under glass watercolor. Any tips on “varnishing” a watercolor to protect it, say on a canvas or aquabord? I would always try to protect watercolours behind glass, as adding any product to the watersoluble surface of the watercolours runs the risk of re-wetting the paint and the level of protection will not be as great. But I appreciate for aesthetic reasons glass isn’t always ideal, you might be interested to have a read through this article on the considerations and options when varnishing a watercolour. Thanks for this, and many other wonderful articles, Will! Cheers Nancy for the updated link. …as always, your studies and notes are invaluable! thanks, and happy new year! Thanks Terri, pleased it helped, Happy New Year! Thanks so much for sharing this info. I was at a frame store the other day and they asked if the painting was varnished. Until then I had know idea about varnishing. I searched the web found your site and shared knowledge and it was exactly what I needed to know. Good one David, really pleased you found it helpful. Excellent extremely helpful article, Will. Thank you!!! I’m so happy to have found you. One question: if one’s objective is to have a nearly gloss finish on one’s acrylic painting, would the isolation coat you recommend be enough to suffice? Hi Lisa, pleased you found it helpful, the isolation coat would give you an extra level of protection, but wouldn’t enable you to remove/clean in the future. It’s a bit like adding a non-removable water based permanent varnish. Thank you for the whole Package, full of useful information on the varnish topic. It would be very helpful if you could let me know as to how or whether exactly can i make corrections on a painting after it has been varnished and if so… the procedure to do so.. I am facing some difficulty with a budha painting in acrylic and asap need your advise. Thanks Gayatri, if you just have an isolation coat applied you can then retouch and change areas, but its harder to alter once the final varnish has been applied as the acrylic won’t adhere as easily to the surface without removing the varnish. Hello Will, I’ve been varnishing my acrylic paintings for some time, using an isolation coat (golden) and then applying a few coats of gloss polymer varnish with UVLS. One painting not has dry bubbles on its surface, many equidistant to each other. I tried applying a new coat but no change. Is this painting dead? LoL i know that its either too much water (I mixed it 4 varnish to 1 water) or too energetic mixing (i was as gentle as possible). I’ve heard of someone applying a hair dryer to the newly applied varnish to eliminate bubbles. thanks for this website. Pleased you’ve been finding the site helpful, the usual culprit for the bubbles is, as you suspected – after too energetic mixing of the varnish (it is most noticeable with polymer varnishes) I usually tend to mix and then leave the mixture for 24hrs before applying if i’m working with a Polymer Varnish and want to be 100% sure of no bubbles. I am new to this and I have been reading over your site as to how to varnish my acrylic painting. I bought acrylic liquid glazing gloss and Golden soft gel Gloss, thinking that that is what I needed to complete my varnish. But I am now confused. Are those two products just for the isolation coat? What do I get for the actual varnish, if it is different than the products I listed above. If you could clarify for me, that would be awesome. Both of those buys are excellent products, the Acrylic liquid glazing gloss is perfect for applying thin glazing layers to your paintings, but is not needed for the varnish part of the painting. 2. A Varnish – depending on your aesthetic choices either a Polymer varnish or Mineral Varnish as discussed in the article. Brilliant information as per the norm. -Is there such a thing as an expiration date on varnish? It all looks so great on the shelf at the local store (don’t get me started with online warehouses). How can I be sure it hasn’t been sitting there for three years? -How much does the environment influence the varnishing process? (Temp, humidity, et al?) Is there a preferable sweet spot? -“Two parts varnish, one part water”. Would you be so kind as to explain what a “part” is? If the varnish is sealed it’s pretty good for years, it’s only if air gets into the mix it can start to change the consistency of the varnish. It’s best in a warm environment, if you’re spraying keep the spray next to the radiator before you varnish so you have a more consistent temperature between spray can and painting. -”Two parts varnish, one part water”. Would you be so kind as to explain what a “part” is? ‘part’ just means a measurement/percentage, Like saying 2 cups of varnish to 1 cup of water. The ‘part’ is larger or smaller depending on the size of the painting, but the ratio stays the same. Thank you again for such valuable guidance. You are truly thorough and most enthusiastic, which I find very refreshing. You’re welcome Patricia, thanks for your kind words. Thank you Will for the information. I will keep this in my files. Hi Will, I use an acrylic satin finish varnish that comes in a spray can to protect my acrylic paintings and am satisfied with that. Most of my oil paintings over 30 years old have held their color very well. But there is one in dark background that shows some uneven patches of shine when looking at it from the side. How could that be remedied? leaves shine in that part of the painting with water mixable oil paints and stays tacky for a long time after the painting is done, so I don’t use linseed as a medium anymore. So my problems are dealing with uneven shine and/or using thee wrong medium? Thanks for your help! Hi Liz, its due to the different absorbency of the oil paints into the canvas and would need ‘oiling out’ to even the sheen. Have a look at this article on varnishing oils which goes through the process. I have a silly question. I would like to varnish a painting that I completed with acrylics. I like to mix my mediums up so I add flowers, glitter and what not but I have never sealed them before using varnish until I stumbled upon your site. I have learned a lot about how to make them better. Hope you’re doing well, the best way to apply a varnish with glitter is to lightly apply a spray varnish, or you can incorporate the varnish with a layer of soft gel gloss that will act as a glue to the glitter. You can paint your painting, apply a layer of soft gel gloss, sprinkle glitter and you’re away! Great article! Im not a painter by any means, just a creator. I created a painting and added glitter over a part of the painting. Can I varnish (liquid) over the glitter? The only issue you’ll have with varnishing over glitter it that you will loose the ‘glitter effect’ due to the varnish coating the surface. Also, applying a liquid varnish would be hard to not move the glitter with the brush when applying it. A light spray would be easier to varnish the surface without disturbing the glitter, but would lose the sparkle. I’m a little confused by ‘permanent’ , ‘non-removable’ varnishes versus “removable”. If I use a non-removable varnish such as Liquitex “gloss medium varnish” Fluid Medium , after I use a Golden Soft Gel Gloss as an isolation coat, would I be able to remove safely, this varnish at some point in the future? Also, is this Liquitex product, a combination of something like a Soft Gel Gloss and a varnish? So, you are probably wondering why I just don’t spray a varnish and the answer is that a 40×30″ painting results in the spray spitting varnish. I noted another artist used a sponge to apply the Liquitex product. this looked pretty easy to me and I hate breathing in varnish fumes when spraying and the N95 masks always make me wonder if I am adequately protected. You wouldn’t be able to remove a non-removable varnish safely without danger of damaging the picture surface. If you have an isolation coat, it gives you a slight edge, but the varnish isn’t designed to be removed. The Liquitex gloss medium varnish is similar in consistency and substance to the soft gel gloss, it is more of a medium than a traditional removable varnish, so yes ‘a combination of something like a Soft Gel Gloss and a (polymer) varnish’ sounds about right. In essence it would be like putting down an isolation coat, and then another isolation coat that you had mixed in some polymer varnish ontop of that. It would give you a smoother application, but if you where going down this route you could just build up layers of the Liquitex fluid medium. Will the varnish not eventually turn yellow? I have a painting that has some impasto areas, made with Golden extra heavy gel gloss medium mixed into heavy body paint, and another area that is painted with thin multiple glazes made with heavy body paint mixed with soft gel gloss (50%) and water (50%). I’ve applied the isolation coat. Any thoughts on whether to apply, and if so how to apply, the varnish? I’m not sure how to get the varnish to go on evenly on both the peaks and valleys of the impasto areas. Thanks. Hi David, hope you’re keeping well, if there is a mix of peaks and valleys I would go for a spray varnish and build up the varnish in layers (3 or 4 thin applications). You can make a small test piece and really exaggerate the peaks and valleys, then judge how many applications gives you the result you like aesthetically. Hello Will. I am getting ready to varnish a commissioned painting (acrylic). The size is 15″x60″. Your articles and Q&As are very helpful. I decided on an isolation coat with the Golden Soft Gel Gloss using the “pour and paint method” you explained in one of the replies. I cannot quite make up my mind on the varnish. I don’t have confidence to apply a polymer based varnish quickly enough on the panorama size surface. The solvent based varnish (brush) sounds better because it sounds like I have a larger window of time to apply the varnish. But is it not suitable to use in my small home studio? Or would spraying be easier? Your opinion will be greatly appreciated! Hi Tomoko, personally I would go for the Solvent based Brush option. Because the painting is quite narrow you’ll be able to cover it all in good time to get a nice even finish. You’d probably also be able to get away with a polymer varnish on that size. I would be tempted to do a ‘test run’, even on a piece of cardboard, just so you can get used to the feel and the flow of the size. It would be worth the cost of varnish lost, rather than a painting finish ruined! Thank you so much for the reply, Will. Doing a test run makes a whole lot of sense -I would certainly feel more comfortable after that! I also wanted to comment that your recent article on whites is very helpful. Thanks again! You’re welcome Tomoko, yes it’s often just feeling a sense of confidence that can help, pleased you enjoyed the white article. Im working very large scale watercolors 6-7 ft across on canvas. I really like the look of them before varnishing. Up to now was using various spray applications. I feel this takes away from the subtle matt look which has the added benefit of many creative options to light it without hot spots… when I varnish it, theres a sheen which reflects light in places and in general I think it looks worse than the original. Also when I spray it on, seems its very uneven due to the large size. Im considering brushing, but…. How dangerous is it to leave a watercolor painting unvarnished? That would be my top pick, but dont think its safe. Or is there a varnish that is absolutely matt? Would a brushed on application work better in this case for reducing hotspots? Im curious also about trying wax varnish – I know this would give it a whole other effect, but im curious if that affect could be beautiful vs. what I find with spraying taking away from the beauty. Could a painting that large be wax varnished and polished effectively? Where might I learn more about the technique? The last consideration is archival qualities. Do I need to worry about reversible varnishes? In what cases? Thank you all in advance, look fwd. to hearing your suggestions. You might find this article of interest that goes into different approaches (including wax) specifically for watercolours. Hi Will thanks for these articles. I ve never varnished before but have delivered my paintings framed with uv glass. Now i paint acrylic on wood, gray scale white to black with a lot of texture brush marks and hard edges, glazing and transparencies due to regular matte gel. I would like to accentuate the vividness and depth of the colors and textures, like a wet effect but without it shining crazy. The paintings will go behind uv glass again. After reading your articles i was thinking of trying glossy isolation coat with a satin varnish on top. How would you see it? Are the old paintings safe behind glass if nothing at all was applied over the paint? Hi Charles, yes that sounds like the perfect approach, apply an isolation coat first so you can see how the painting will look with a gloss finish, then you can judge if the satin will work the best for you. Your previous paintings will be well protected behind the glass. Thank you for the useful tips about the isolation coat. I have some Winsor and Newton Gloss Gel. Is it suitable as an isolation coat? It looks less dense and more transparent than the Golden soft gel, does it still need to be mixed with water? Drying time between layers of varnish. Thanks a lot and apologies for being a bit fastidious. Hi Anna, nice to hear from you, I haven’t personally used the Winsor & Newton gloss gel as an isolation coat so wouldn’t be able to say for sure if it would work in the same manner in terms of consistency and dilution with water. Isolation can be applied after 24 hours drying with standard acrylics. The drying time will vary depending on brand and type of varnish used, details will usually be on the bottle of the varnish. Hello Will. This was very informative and very helpful. Just a few quick questions. Can I just do a quick isolation coat and be done? Or do I need to do more if I do an isolation coat? I’m not painting any abstracts or portraits, just a hobby painting silhouettes, the occasional flower.. I may give them as gifts, I’m so tossed up if I should varnish or not..
Hi Heather, you could just go straight on with a polymer varnish, the isolation coat is only if you intend to replace the varnish layer in the future. Totally love LOVE your site! Such generosity in sharing your information and knowledge, and so cheerful and encouraging too. Fabulous for a newbie to the craft. Question – I painted an acrylic landscape and the darks – the shadows in the trees, and the dark tree trunks – all darkened as they dried (of course) until now it’s hard to distinguish the different tones in those areas; the different darks can no longer easily be discerned from each other. SOOOO …. Will a matte varnish improve it (due to lightening the darks), or will a gloss be better (due to increasing the tonal range)? the varnish won’t make a big enough difference to ‘pull’ the tones out. A gloss varnish would make more of a difference than the matte, but a few extra brushstrokes of paint would be the best remedy. Thanks, Will! Okay, I will consider it as a not-yet-quite-completed work, and fix it with paint. Hi Linda, did you use the Extra heavy gel ontop of the oil? Usually you would have an acrylic base and then an oil paint ontop due to the differences in drying time and the lack of adhesion of the acrylic medium onto the oil surface. For varnishing, you wouldn’t need an isolation coat but treat the painting as if it were an oil painting. Next I went over covering all and adding some texture with Golden Gel Gloss medium which is acrylic…Now, do I varnish with acrylic based varnish or oil based varnish? Thx and sorry for the confusion! Ahhh, that adds a slight complication as the ink for a Giclee print is usually water based, so solvent-based oil varnishes are best avoided, the only varnishes that can be applied to a Giclee print are acrylic water-based varnishes. I would usually add acrylics to a Giclee if enhancing areas of the print due to oil being in direct contact with the water based print which can cause discolouration over time (by the oil soaking into the unprimed surface). Okay, good one Linda, hope the piece turns out well. Just wanted to let you know I painted the giclee with oil, textured with acrylic gel and varnished with acrylic varnish and it looks great! Thank you for your help…..
Next question…got an old half finished oil painting sitting around…last night I smothered it with acrylic gesso primer…leaving lots of texture. I intend to paint with oil over it….do I have to worry about peeling once it dries? Hi Lina, pleased the painting worked out well for you. I intend to paint with oil over it….do I have to worry about peeling once it dries? Yes, because you would have painted acrylics ontop of oil, rather than the oil ontop of acrylics. Thanks…guessI will throw out the canvas rather than take a chance! You’re welcome Nicole, hope it helps. Hi, Thank you for the article. I must missed something. I try to read couple time, but I don’t seem to find you talking about removable varnish which is the kind you preferred? Can you point out to me? Most of the time I would then mix a bespoke solvent based varnish by adding matte varnish to a gloss varnish. So in essence creating a controllable satin finish. Question: I purchased a recently purchased small oil painting. I am not going to frame it, just put it on an easel. It was not varnished. Is it essential that it be varnished or can I display on a shelf as is? Thanks for your time. Hi Christy, no it’s not essential, it’s down to your personal aesthetic choice for the finish. Hi Rey, I haven’t personally tried varnishing leaves but you could try this method of preserving the leaves first with a Glycerin solution (which replaces the moisture in the leaves yet still keeps the colour) and then spraying varnish over the top of that. Here’s a video of how to soak with the solution. Thanks for the info. I’m going to be using a spray varnish and the canvas hasn’t been stretched yet and i’m sending the painting rolled up. Is it ok to roll the canvas after letting the varnish dry? Hi Sebastian, Yes it’s fine to roll a canvas when the varnish is dry, I would place a sheet of archival pH Neutral paper ontop of the canvas and then roll in bubble wrap. This guide by Agora Gallery goes through the steps. You’re welcome Jo, hope you’re keeping well. Your website is so informative, really interesting to browse through! I have completed a Christmas mural in acrylics on 6 large canvases which will be used for a couple of years as set dressing at a visitor attraction. As they’ll be in a dusty environment with lots of people passing, no doubt touching the pictures, and so I’d like to give them some kind of protection. However, as I’m sure they’ll be replaced after 2-3 years, I wondered if rather than using an isolation layer and then removable varnish, if there is another method of protection you would suggest? The paint is applied relatively thinly so should be truly dried, however they are a last minute request therefore any type of varnishing needs to be done in a short timescale! Any advice would be much appreciated, Thanks, Sarah. Hi Sarah, nice to hear from you and pleased you’ve been finding the site of interest. Due to the nature of the pieces you could apply a final picture varnish straight onto the canvas without an isolation coat. A polymer based varnish would dry pretty quickly, but wouldn’t be as hard as a MSA varnish. Alternatively, due to the size of the canvas and the fact that the canvas could be moved around a lot you could also use yacht varnish. It will yellow slightly, but will be more cost effective on the large scale and give a very tough finish. Thanks very much for those suggestions, the yacht varnish may well be the best option for the scale and amount of handling they’ll take. Best wishes, Sarah. You’re welcome Sarah, hope the project goes well. I worried about putting a varnish that stays in place permanently, now I know that I must take the removable. Thanks. I’m new to this and just found you, thank goodness! . I use acrylic painting for mental therapy. I ALWAYS varnish ALL my paintings, and have never heard of an isolation coat before now! I’ll start doing it now, but is it a big deal to ones already varnished? I truly am an amateur as you can see in my etsy store, but just need your advice. Thanks in advance for your advice! Hi Laura, your existing paintings will be absolutely fine in terms of protection, you would just have to be more careful when replacing the varnish not to damage the surface of the painting. I recently varnished an acrylic abstract painting with Liquitex High Gloss varnish (undiluted), and I did not do a good job. The first brush that I used wasn’t big enough and left a lot of gaps in coverage. For the second coat, I used a larger brush, but I made the mistake of using a 2″ brush intended for wood varnish and it left noticeable brush lines. It is now a streaky disaster. Is there any saving it? 1. Use a wide, soft hair brush or paint pad (vacuum the pad prior to use to remove lint). Size of area to be varnished will determine the size of the applicator. The smaller the surface area, the narrower the brush. Generally, a 1-4″ flat brush is used. 4. Horizontal surface application is best with less chance of varnish running. After varnishing, the surface should be shielded with a protective “tent”. This will prevent any dust or airborne particles from settling into varnish as it dries. 5. Apply Liquitex varnish in slightly overlapping pattern that covers entire artwork. Apply in horizontal and vertical brush strokes, so that entire area is evenly coated. 6. 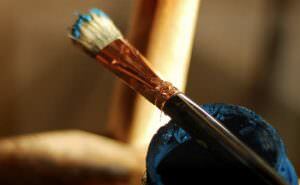 Do not rework areas you might miss as the brush could pick up partially dried varnish and cause clouding. If areas are missed, wait until the varnish is dry and apply another coat. 7. When applying Liquitex Matte Varnish or Satin Varnish, apply no more than 1-2 thin coats. A thick application may result in cloudiness when dry. If more than 2 coats are desired, first varnish with Gloss Varnish until desired thickness is achieved, then final varnish with matte or satin varnish. Hi, I have used Clear Coat on my acrylic paintings often but last night I used it while in my garage on 2 very large paintings. It was pretty chilly and when I can back to look at them they had dried cloudy and somewhat streaky. Can I salvage these paintings? They are for an event and I don’t have a lot of time. Hi Jeanine, I haven’t personally used Clear Coat so wouldn’t know for sure, varnish works best in a warmer environment, ideally with the varnish room temperature. let me know if you find out anything from the manufacturer. Hi Will, I have just completed my first acrylic painting on canvas and it is a portrait of my grandaughter who is two years old. I have been reading your site and will apply an isolation coat as it protects the paint. Could you please advise me if it is better to use as a varnish the satin finish as opposed to the gloss or matt varnishes for portraits, based on your experience? Hi Eva, they will each give you a different aesthetic finish, which will often vary depending on personal preference and the style and mood of the painting. It’s best to try a few test pieces with the different finishes first to see which look you prefer. When you apply an isolation coat it will look very glossy, so it can give you an idea of if you like the gloss varnish look, and then judge from there. Hi Will, thank you, I greatly appreciate your advice and will implement your suggestions. I have found your site to be informative and encouraging for myself as I am new to this beautiful hobby. Great to hear it Eva. First want to thank you for sharing so much information on your website. I have done 3 of your online courses and they have been fantastic! My question..you have answered some of it (Liz, Feb 2014) but her question was on oil painting. I painted an agrylic painting about 2 years ago (not varnished). I have recently moved it to another place where there is more light from a window. With more light falling onto the painting I have noticed patches where there’s more shine (looks like a milky layer) at some areas of the painting when I look from the side. I am so disappointed. Will varnishing help to solve this problem? I used water to thin the paint but at some places I have used flow medium. Can this cause this milky shine look? I read your advice to Liz but that is for an oil painting. Please help! Hi Maureen, pleased you’ve been enjoying the website and courses. The differences in sheen will be due to the differences in amount of acrylic polymer (which is usually glossy) the differences in amount of flow medium and the different absorption rates into the painting support. Adding an isolation coat and then a varnish layer will even out the surface appearance to an even sheen. Also, if the painting is in sunlight having a varnish layer will add UV protection to the paint pigments, as some pigments aren’t as lightfast as others. I have just finished an acrylic painting for a show. I used liquitex gloss varnish and after that cured 2 coats of liquitex matte varnish. Since it has dried I have noticed 2 small spots that are shiney. Is it possible to apply a little light matte to those areas without having to apply another coat to the entire painting? I am afraid another full coat of matte will dull down the painting. Hi Linda, it is possible, but more often than not you’ll see a join where the two layers meet. I would try on a test piece first (purposely miss sections with the gloss and then try to match with the matte) before going for it on the finished painting. Thank you so much Will for your input. I thought as much myself and went ahead today and applied another coat of the Matt varnish. It looks fine now a little dulled down but it’s uniform in its finish. It may look different after 24 to 48 hours and pick up more vibrancy. I must tell you as a self taught artist I am delighted I found your site. Once I get this painting safely out the door and on its way to the show to, irony, raise money for art education I plan on really looking over your site. Once again thank you so much for taking the time to respond to my question. Hi Linda, pleased the extra coat worked well to even the sheen, hope the painting sale goes well. 1- I would like to know the brand keeping in view a cheaper price, like Liquitex or Golden, which is better please? I live in Calgary Canada and sometimes its harder to find the full range of the products of these brands, but i will find the ones you recommend. 2- As far as I understood, I need to apply Isolation coat on the acrylics painting. Please send me the picture of the bottle and how to mix this Gel with the water? Solvent etc or the other one me confused, just let me know please which specific one shall I buy? 3- The brief method of applying this. 4- time to let it dry? 5- Type of brush? or any brand? Should not be that expensive as i dont afford that much. 6- Then which specific Varnish I should buy, I need the picture of the bottle, I use THICK PAINTS…… My paintings has a texture due to think paint. 7- how much time to dry the varnish after the 1st coat? Any artist quality acrylic will be good, you can start by investing in an artist quality white and then building up your paints from there. Here’s an article on applying an isolation coat that goes through the materials and brushes I use. Gloss varnish will be best for high saturation. Thanks Will, My question was for the Varnish, which varnish shall I use? and please let me know the answers of rest of my questions . I use think paint , so shall I apply the isolation coat and then varnish with the brush ? or Spray, spray is costly. Hi Zed, it’s a personal choice as discussed in the article above, either a polymer based varnish or a solvent based varnish. Try both on a small painting and see which you prefer. Hi, Will, After reading some of your reply to others, I thought I was all set choose the right varnish. When I went to Art store, I felt more confused then ever. I use oil and a lot of liquin. Especially lately I use a lot of glaze technic,little paint, lots liquin. Past few days, I started to try the glazing technic with Copal medium. The area with more glaze shows a lot of sheen. So the painting has some area shining, some area is not. Will varnish help even out? Could varnish being effected because I use a lot of liquin? Could you suggest a varnish to use? Also, since I use a lot of drying medium and every layer dry overnight, do I still have to wait 6 months to varnish? Thank you. Thank you so much Will for sharing this info! I have about 6 oils I have done over the past 10-12 years and have been advised everything from don’t varnish at all, to using straight Damar varnish. Going to read your latest post about varnishing. Thanks again! I’ve been sent a Golden soft gel medium in SEMI gloss. Is this the stuff you mean or is there a full gloss version? Also, would the Winsor Glazing medium be suitable for an isolation coat – it is glossy. I ask because with the type of art I do I can’t mix water with the medium and I suspect the gel medium is going to be too thick for me? I’ve used the Winsor Gloss medium undiluted which worked fine but I would like an even higher gloss finish and the glazing medium has very good reviews? Thanks for such an informative site! Hi Monique, Golden paints recommend just using the Soft Gel Gloss medium for an isolation coat. For semi-gloss or matte mediums a white matting agent is used to create the matte finish, so a gloss medium is preferable because it would give the cleanest film, especially if you’re going for a high gloss finish. 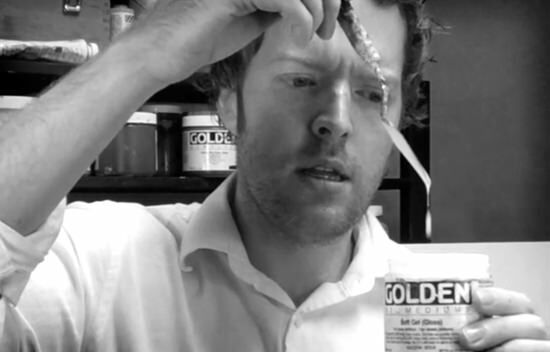 I couldn’t say for sure regarding the Winsor glazing gel as personally I’ve always used the Golden Soft Gel. Love your tips! I recently bought Winsor & Newton professional gloss spray varnish. I read online that I should wait 6-12 months after painting an acrylic piece before varnishing! This sounds crazy. What do you think? Also, how soon after spraying the varnish can I ship the piece? Thanks! Hi Micaelina, you often need to wait for 6-12 months for oil paints when using traditional varnishes but acrylics can be varnished within 24 hrs. I want to enter my art work into competition and need to photograph them, put on an isolation coat and the varnish and also want to frame a couple. I read that it is best to photograph without the final protective coats. But I want to photograph them framed. And when I apply the final coats it will also look different. Should I frame the piece, photograph it, take out of the frame, apply the final coats, then reframe? Thank you for all of the information on your website. Hi Carolyn, the varnish will deepen the colours and make them look more saturated but give you the extra chance of glare on the surface when photographing. The safest way to cover all bases to see which image you prefer is to set up your camera on a tripod and then photograph at each stage. Once before varnishing, once after varnish has dried and once when framed. Then you can have an edge to edge clean image as once framed (depending on your lighting) you can have shadows from the edge of the frame fall onto the canvas. Also, it’s worth having a small piece of white paper (or a photographer’s grey card) in the frame for one shot at each stage, that way you can later white balance all of the images together to give you a consistent look. Take a picture with the white paper or grey card every time the light changes and you’ll be able to adjust in a photo editing app. Thank you so very much Will for the advice. It is greatly appreciated. I work in oils and when I let my painting dry for a month or so before varnishing, tiny pieces of dust will stick to my painting. How can I avoid that? Hi Matthijs, you could try using a varnish like Gamvar from Gamblin paints than can be applied oils when the surface is touch dry. I’m here because I was looking for troubleshooting after the fact. Now I have learned from your site why all my Halloween paintings got ruined: I used a matte finish when I should have used gloss. Halloween means black and that was the main color on all the paintings. So thank you for solving the mystery. Now please help me. Can it be fixed? can I do anything to darken my blacks? Paint over them? Will gloss varnish restore it? Am I screwed? Hi Tricia, yes, you can apply a layer of gloss varnish over the top and some of the depth will be revised but it still might be slightly duller due to the white matting agent on the first layer of varnish. Hi Sonia, by its nature, a matte varnish will always give a slightly lighter black than if you used a gloss varnish. Yes, you can intermix gloss and matte to create your perfect mix or opt for a satin varnish which is halfway between the two. Hi Judy, many modern varnishes can be used with both oils and acrylics, it will say on the varnish description if it’s suitable for both. Gamvar from Gamblin is a good choice. Thank you so much for your help always. Love your site. I was wondering if you have ever tried Liquitex Soluvar varnish ? I love it and you don’t get that milky look. I don’t apply an isolation coat first- but should I ? ‘Apply 1-2 coats of Liquitex Gloss Varnish as an isolation barrier. The barrier coat physically separates the acrylic painting from the Liquitex Soluvar Varnish and seals the surface. This aids in a more even application of Liquitex Soluvar Varnish and protects the painting if the Liquitex Soluvar Varnish needs to be removed. Allow to dry for 3 days. Thank you for the explicit information. 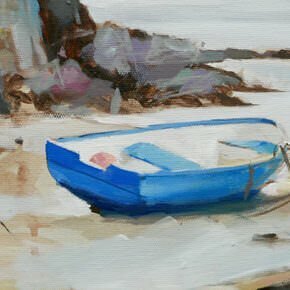 Hi will when I paint the varnish on my paintings look so vibrant and amazing when wet like when you wet a pebble for example the colours pop out, when varnish dries I lose this wet look, is there a way to preserve this “wet look” ? Hi Brendan, gloss varnish will give you the most ‘wet look’ to your paintings, you just might need a number of coats to build up the layers. I’m currently in the process of making a two-panel painting for my school project that’ll be shown in an exhibit a month from now, and I’m planning on using both oil and acrylic paint as mediums, but my problem is what type of coat can I use as a finish that can be applied to oil and acrylic? and can that coating be applied as early as when I’m finished painting it? Hi Megan, a modern varnish that can be applied to oils when the surface it touch dry for oils is Gamvar from Gamblin. This can also be applied to acrylics. Hi Laura, it would be a very slippery surface to paint on top of the varnish and the acrylic won’t adhere as well, if you don’t want to remove the varnish you can roughly sand over it to give you more of a tooth but the paint still won’t grab on the same as an absorbent canvas surface. Thanks so much, Will. That’s what I figured, but I really appreciate your expert advice! I am an amateur who dabbles in a lot of different things. I haven`t painted in a while because I have been building some furniture. I usually have at least fifteen different projects in some state of semi completion. I have always used Grumbacher spray finishes on my acrylic paintings. I had a painting that was done, but not varnished, decided to finish it to give to someone, took it out to the garage, grabbed the can of spray sitting on the bench, and proceeded to spray. After the fourth coat, I realized I had used Minwax polyurethane meant for wood. Is this going to be a problem? Hi Pat, the only real issue would be if you wanted to have a removable varnish surface as you’d need quite strong solvents to remove polyurethane varnish, and the polyurethane can sometimes yellow slightly over time, but traditional dammar varnish also yellows so it would just warm up the finish of the painting. I haven’t personally used the Minwax varnish but you could contact them direct to be doubly sure. Been reading through years of this treasure trove (which it totally is), and learned a lot. Many things I totally wasn’t aware of when I started my painting. Total production of paintings is super low (hobbyist) and just been lucky with varnishing up until now I guess. Still sort of lucky but stuck with a question I don’t know the answer to. so it’s been varnished with Talens glossy varnish (spray can), after which I continued painting on top of both coatings. Both varnish coatings came directly on top of paint without isolation coat. Third time round (this time fully sure it was finished ;) I decided to go for a satin version of Talens varnish (spray can again). Everything went perfect again, but seeing the satin result, must admit it slightly takes just a hint of depth away from the painting, compared to the earlier glossy finish. So I’m sort of tempted to go look for the full wet glossy effect again. Can I respray a glossy layer on top, to find full detail depth again, or will I just end up with a more shiny version still with the loss of depth enclosed due to earlier satin layer? Would love to hear your insights on this Will. Big thanks for your knowledge and your time. Topnotch !!! Hi Peter, nice to hear from you and glad you’ve been finding the articles helpful. Yes, you’ll be able to respray a glossy coat on top, however, as you mentioned, because the satin coat has already been sprayed ontop some of the satin matting agent will still remain so it won’t be a crystal clear as just with the gloss varnish. Your site is informative and I’m very grateful for your tips and suggestions. Recently I am re-discovering painting with acrylics after some 30 years of doing watercolour paintings. The other day I was reminded to varnish my paintings (techniques have changed somewhat and anyway I’ve forgotten a lot) and at the recommendation of an artist friend I purchased Liquitex’s gloss medium and varnish combo as I’m using Liquitex paints. Some folks seem to dilute their varnish; others, don’t. Do you have any comments/suggestions to help me decide? As well, I note that you and a few other artists warn about wrapping varnished paintings in bubble wrap for transport; however, none of you offer any alternate suggestions. Will bubble wrap always mark up varnished paintings, no matter how long ago they were treated? Wrapping in bubble wrap is absolutely fine once the varnish is dry, it’s just when deadlines loom and the varnish is still wet. Just make sure the bubbles are facing towards you so there is a flat surface on the painting surface. Thanks so much for this info—it was necessary, helpful and encouraging! Brilliant to hear Carolyn, so pleased you enjoyed it. Does sealing/varnishing affect the price of the painting? Sometimes a glossy surface can appear to be ‘more finished’ so may affect a customers perception, but it’s usually more of a case of having one even sheen that brings the painting together so the piece works aesthetically. I did some floral painting directly on my old sanmica table top using acrylic colours. The base black colour is completely dry. But the other colours are little bit sticky even after 3 days. Can I use any varnish on the painting? If yes, what varnish should I use? Hi Sharada, the acrylics should dry within a few hours, if they are really thick they might take a couple of days. For furniture, the most hardwearing is a polyurethane varnish. thank you so much Will for sharing your knowledge. Good work, art man! As much as I am an artist biased against the use of varnish on oil paintings, I found your tips worthy. So glad you have this website with your expert advice! My question regards acrylic ink. I’ve been an oil painter for many years but want to try experimenting with acrylic ink on heavy hot press watercolor paper as well as acrylic gessoed canvas. I like the color saturation of the inks. I was wondering if you suggest an isolation coat and final varnish as you described in this section or if something else is better with acrylic ink. Also, if the work on paper will be framed with glass, is it fine not to varnish it if I’m happy with the appearance as it is? Thank you! Isolation Coats and Varnishing: Allow 12-24 hours for the HFA layers to dry before applying isolation coats or varnish layers. Some colors, such as the Fluorescent Colors, can take longer to fully cure than others. Test the process to identify the amount of time to wait for drying or which mediums can be more problematic than others. I recently used Golden Acrylic Glazing Liquid (Gloss) Medium as a finish coat for a portrait, and like the results. However, I didn’t dilute it with water. I was planning to do the same with quite a few other paintings, but am now wondering whether this is really okay to do. Is there a danger of smearing paint or other unhappy results? Two questions: Why do you suggest adding water? Is this the wrong product to be using for this purpose? I don’t really want to varnish—I was just hoping to add gloss and create depth of color. Thanks so much for this wonderful website and your terrific videos! Hi Linda, it wouldn’t be any danger of smearing the paint as long as the underlying layer of paint has dried. I use a different product by Golden called Soft Gel Gloss which is much thicker from the tube than glazing liquid gloss and then apply a varnish over the top. If you don’t want to varnish you could apply a gloss top coat that contains UV protection that will help with the lightfastness of colours. Thanks, Will. Are you suggesting the Soft Gel Gloss as the product to use for UV protection? Or would the glazing liquid accomplish the same thing? Or is there a better third product? Thanks in advance. So appreciative of your help! The UV Topcoats, when used as a final layer, should greatly increase the longevity and lightfastness of whatever media you are working with. Overall they will lower water-sensitivity, limit air exposure, and provide substantial UV protection. However, if exhibiting pieces without glass, we strongly recommend also applying one of our removable varnishes to facilitate cleaning and future conservation. Please consult our website for information regarding Varnish Application. I just completed a 40×60 canvas acrylic painting. Although I am pleased with the outcome, there are many uneven sheen areas, mainly visible from the sides. I assumed the varnishing would even it all out, but after a couple light coats, not really. I am using a satin spray varnish. Overall the varnishing improved the appearance, but in some areas I feel the uneven sheen was enhanced, sticking out like a sore thumb. Am I expecting too much, or should I apply more coats? Does it eventually all level out? Any help would be great. Thanks so much! Hi Coco, for acrylics, I tend to apply an isolation coat first to even the sheen and then apply a varnish on top of that to the desired sheen level I’m after. Oh thanks so much, is it too late to do that isolation coat and go over it again with varnish? Even if I can’t use it for varnish removal purpose but to even the sheen? Hi Coco, yes, it would be too late for this particular painting but you could just build up the layers of the spray varnish. I know of some artist that build up 15-20 layers of spray varnish to produce a glass-like finish. What a generous wealth of support you are to all of us. I 1st discovered your artist vocabulary list which is so welcome and helpful. Thank you so much for your informative information about vanishes and why do so and why not. This is all a bit ahead of me, however very welcome and I love learning all you offer. My 1st quest was to find out what “OMS” refers to. I read a review by a painter who used “OMS” and it spurred my search. “I usually will cover my entire surface with OMS before painting just to allow my paint to move more like it should in the initial stages, or sometimes just do a thinned wash of color and then let it dry completely to seal the surface.” Any clues about meaning of OMS? My 2nd inquiry is for guidance about what is best additive to Acrylic paint to get it to have consistency and dry more slowly – closer to oil paints? I prefer oils, however cannot use them due to multiple allergies, breathing reactions to chemicals complicated by asthma. I will appreciate any suggests/thoughts from you. Good one Nick, glad the gallery could add an extra coat, hope the show goes well! I just completed a painting for my musician ex. Acrylic violin and bow against a black gesso background. Is it safe to varnish over the whole painting or will the gesso run? Thank you. Saving your site for fantastic info. Hi Bev, yes the acrylic gesso will be safe to varnish over, pleased you’ve been enjoying the site. Hi Lana, glad you’ve been enjoying the site. Sanding varnish between layers is often used on woodwork but not as commonplace on painting due to the potential difference in surface texture next to the painted surface. A 1000 grit is a super fine paper so would only be very gentle. The concern with sanding varnish is creating a matte effect when the sandpaper disturbs the surface. You could try a test piece to see if you’re happy with the aesthetic vs smooth surface. I have just finished an acrylic painting and applied two thin layers of a gel isolation coat. I then applied two thin coats of a gloss varnish but now realize that the shine has in essence become part of the image which is detracting from the painting. I’m Wondering if I can apply a satin varnish or gel isolation coat to bring down the shine over top, and what that will do to the colour saturation? Hi Deborah, yes, you can apply a satin varnish straight on top of the gloss varnish. Gloss will give the most saturated colour but a satin finish will still look nice and vibrant. Thank you for your speedy reply and also for your very informative article on varnishing. I have applied a satin over top and am very pleased with the results. Fantastic to hear Deborah, glad you’re pleased with the satin finish.